The thought occurred to me recently that, in some manner, every teacher is a researcher. When one thinks of researchers, one may conjure up an image of an academic working for a third-level institution. Teachers, as we traditionally know them, do not fit this description. The research that we do, however informally we do it, is based in practice and has real-world and immediate applications. Whether we critically reflect on how a lesson went, or whether we take a more formal research approach to our practice, both are equally as valuable. The only difference is that one may go unnoticed and unrecognised while the other reaps rewards through the form of accredited certification. Researching through the more formal and traditional means generally allows the researcher a medium through which findings can be presented and discussed. The same cannot presently be said about the informal types of research that take place daily in classrooms. Other than something along the lines of a discussion with a colleague or a brief mention at a staff meeting, this sort of informal research most likely ends up being lost to everyone but the initial individual, with its practical benefits remaining unseen and unrealised by a wider audience. Let me make it clear that I do not see School Self-Evaluation as the answer. That approach is too narrowly focused (standardised testing results) and restrictive, as its structures are designed by people not involved in the process on the ground. The process is also forced, however at the time of writing, a union directive instructs teachers at primary level not to engage with it. There is a solution. It involves a change of culture, where teachers at primary and at secondary level are encouraged to share their professional and informal research experiences with a wider audience, through a medium that is always accessible. Blogging is one such medium but it is often up to an individual to set up their own blog and to maintain it, in order to reach a significant number of readers. What’s needed is a well-maintained medium where registered teachers are free to make submissions about their formal and informal research and their research in practice, and where other registered teachers can access it and discuss it with a view to further professional learning. I think the Teaching Council has a role to play here. It is, after all, charged with the promotion of the profession. I would challenge them to enable teachers to share their formal and informal research experiences through a medium that lasts. I had an hour to spare the other day so I decided I’d search YouTube for any videos of my favourite writer in education – Stephen D. Brookfield. I found this video, in which he makes a presentation on critical and creative thinking. The one-hour video does not do justice to the contents of his book “Becoming a Critically Reflective Teacher” (1995) but rather it provides a solid basis for wanting to read it, and in my case, re-read it. This is a wonderful video in which Brookfield recounts his experiences with his own failures in education and how he managed to overcome these. He also uses the highly personal example of his own clinical depression to illustrate his point about assumptions. It’s well worth watching if you can spare an hour. At what moment in class this week were you most distanced from what was happening? What action that anyone (teacher or student) took this week did you find most affirming or helpful? I like the idea of it but I know that it would not be viable in its current form in a Junior or Senior Infant classroom. The CIQ is voluntary and is supposed to be anonymous, so oral feedback in place of the standard, written CIQ would defeat the purpose of anonymous feedback. The language in its current form would have to be altered if the pupils were to engage with it properly. It would most likely have to be read aloud and explained by me in order to eliminate confusion. I would have to be mindful of pupils whose first language is not English. In order to collect feedback, I would have to rely to some extent on the children’s ability to write for the purposes of transmitting real meaning. This raises the ethical issue surrounding the guarantee of anonymity – many teachers can identify a pupil by their handwriting. The other alternative is to send the CIQ home with them at the weekend and to get them to dictate their responses to their parents, who will in turn fill in these dictated responses, possibly by typing them up to preserve anonymity (a teacher can become accustomed to a parent’s handwriting as well!) and for return the following day. This isn’t a perfect solution either, as it relies on participation that one cannot and should not force. It also allows for the child’s answer to be influenced by the parent, which would render the feedback useless. In less than a fortnight as I begin my ninth year in teaching, I will be embarking on my first experience teaching a Senior Infants class. I would like to use the CIQ in some form to improve their educational experiences, therefore I would welcome any suggestions or feedback from readers of this blog as to how I can best do this. Hard Sums, Flying Pigs and other Tails – A Reflective Practice Odyssey! This is the follow-up course to last year’s “Smuggling Donkeys – A Reflective Practice Journey”, both of which were offered by Marino Institute of Education and facilitated by Gerry O’Connell and Michael Hayes. On the surface of it, one would wonder what it will be about and by the last day, one is still wondering about it but in a more meaningful way! Here’s what I got from this year’s course. The key point throughout is that the questions are more important than the answers. Day 1: What do we really teach children? Can we teach others to teach? Can we call ourselves teachers? Does teaching something devoid it of meaning? Is a child’s learning best placed when it’s through his own experiences and on his own terms? Why is there such a focus on the end-product as opposed to the experience or the process? We discussed Carl Rogers, read an extract from James Rebanks’s book “The Shepherd’s Life: A Tale of the Lake District” and were provided with an extract of Ken Robinson’s “Finding Your Element”. In this Robinson doesn’t discuss education directly but when he does, he needs to be approached with caution, further views on this here and here. Day 2: We started off the day with a discussion on learning objectives and learning outcomes. Are teachers expected to be able to see into the future? When we are dealing with a group of people, even with one person, their responses cannot be accurately predicted. Therefore so-called learning outcomes should not be unmovable targets. The learning outcome is in flux, and will depend on the interactions and relationships between the learners and the teacher. Often times, a lesson will end up in a completely different place than was expected, but this should be accepted and is ok. Learning is experiential! We then did a twenty-minute meditation exercise, where some of us took to the giant bean bags to participate in this activity. What followed was a mindful walk from the Marino campus to The Yacht pub in Dollymount. We stopped just before we arrived at our destination for an activity, something called ‘The Complexity Game’ which involved picking two people from the group, assigning them the letters A and B and positioning yourself so that A is always between you and B. Then the rule changes, you have to position yourself between A and B. I won’t say what happens because it is best to experience this for oneself. The thought that emerged from this is that “complex, unscripted behaviour can emerge from simple rules” (course slides). We then had tea and sandwiches before mindfully walking back to Marino. We took home some more handouts – another from Carl Rogers concerning core conditions and education and one from Pamela Bradshaw entitled “What about Sharing?”. Day 3: After an introduction which reflected on yesterday’s activities, we meditated for 10 minutes. We engaged in various discussions regarding homework and its values (or lack of), the perceptions others have about teachers, the value of what we do and whether or not what is of value in teaching can be measured – equally is what’s currently measured of any value? 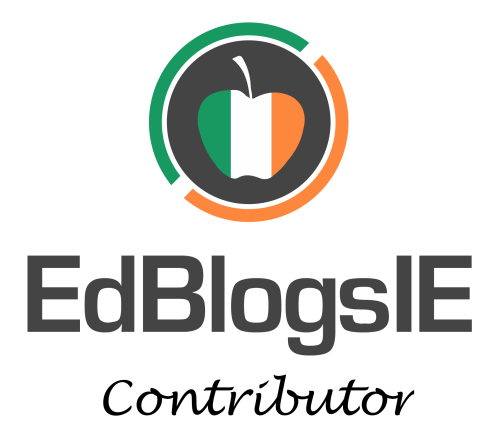 We looked briefly at Aidan Seery’s views on the competing voices in Irish education. We were provided with an extract from Seán Delaney’s book which focussed on homework. During the afternoon, we discussed data and how it can be manipulated to suit a certain agenda or outlook. This led on to a discussion on standardised testing and the way in which it’s viewed by teachers, principals, parents and policy-makers. A reading of a W. James Popham offering informed this discussion. Day 4: We met in Howth and had a mindful walk around the cliffs. When we reached the end of our route, the majority of the group doubled back to see things from a different perspective, while four of us took a shortcut back past the summit and along a different walking route, cutting through the middle of Howth. Our day concluded in O’Connell’s Pub for lunch. Relaxed conversations filled the day. Day 5: We began with meditation. We moved on to a general discussion about the course and the ideas behind this year’s course. We were visited by Gene Mehigan who gave a guest presentation on the topic of spelling – we shouldn’t be teaching how to strictly spell correctly, we should be teaching how to spell. Children will go through transitional phases in their journey to be good at spelling, it is up to us to meet their needs at the various junctures. We don’t tell children not to speak until they’re four years old just because they’re not able to do it perfectly, the same should be applied to spelling. As it happened, during a dictation exercise with our group, none of us spelled all ten target words correctly. This provided me with an opportunity to empathise with the struggling or transitional speller. We finished the course with a mindful dance together, with actions. We then parted ways. Reflective practice was the main theme of the course and was present to various extents during each discussion. That said, what was the outcome of the course? It depended on the individual. There was no compulsion for one strict type of engagement throughout the week. Each individual interaction or reaction provided the course participants with something unpredictable. There were starting points each day but it was up to the group what direction it took. For this type of course, I would say that the process is more important than the product. It is a course where you are treated as a professional and you are acknowledged as an expert at what you do. It’s not a course where you are given a list of ideas for use in the classroom, rather it is a course that reminds you to think about what you do (and what you have done) and to do it meaningfully and mindfully.